The Hong Kong-based start-up lofree is manufacturing a typewriter-inspired mechanical keyboard that was recently crowdfunded at Indiegogo. I purchased one for $79. It arrived on 12 June 2017. This isn’t true, and many people have expressed their discontent about this in the Comments section of the product’s Indiegogo page. The numeric row and the function row of keys have been shifted to the right by a key, effectively forcing touch typists to re-learn how to type. 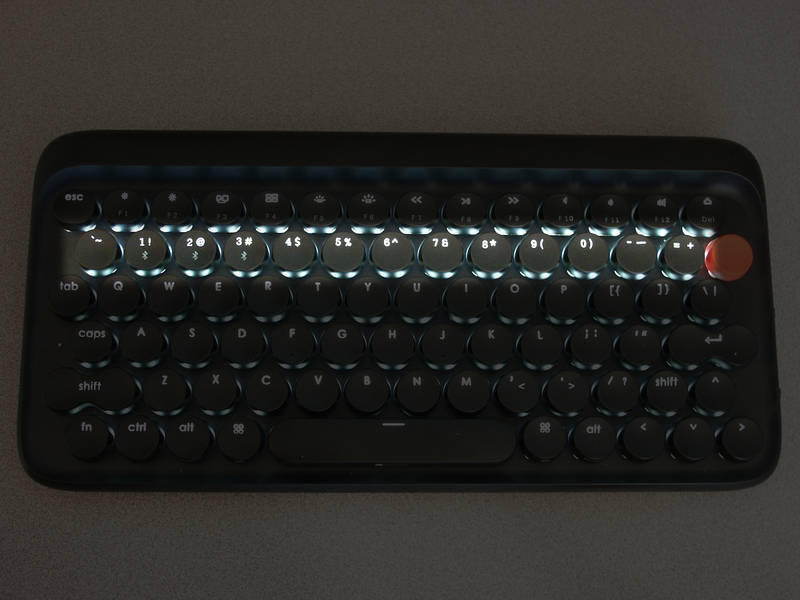 Highlighting the original, misaligned number row on the lofree keyboard. If you’re willing to re-learn the layout and this will be your only keyboard, then stop reading. For the rest of us who use multiple machines, however, the layout is unacceptable. Lofree advised me (and others) to use Karabiner to fix the keyboard layout, but Karabiner doesn’t work in macOS Sierra. Thus, I set out to create a layout that works in all modern versions of Mac OS X. My fix is available on GitHub. The layout re-aligns the numeric row back to the standard position, not the function row. The back tick/tilde key, now a dead key, is placed to the left of the delete, and the toggling you’d get with command + ` (back tick) is converted to a three-key combination: command + control + 1. The number row shifted back into the traditional position, with the back tick key, now a dead key, positioned to the left of the delete key. As for reliability, I’ve used the layout for two weeks in Mac OS X 10.11 El Capitan and macOS 10.12 Sierra without incident. This works on the latest Sierra 10.12.4. Thank you so much. I wasn’t even aware of the keyboard mapping feature. I am not at all clear why the right-apostrophe / Tilde key can’t be mapped. You mentioned this was a dead key? It’s not that the tilde/back tick key couldn’t be mapped, but more a matter of my not wanting it to be mapped. I use many keyboards and didn’t want to get used to a strange layout in which the key to the left of the delete key was not in a traditional layout. Overall, terrible business practices by Lofree. Thoughts, Proudly powered by WordPress.